If Milton was a reader first, then through his example we are all readers in his stead. I present my own idiosyncratic and subjective reading list of some of those readers. I’ve decided to reinvent The Millions. The blog world is crowded. I cannot possibly add to or improve upon the innumerable blogs out there that are about music or politics. So many of the things that I have a casual interest in are covered so obsessively in the blog world that it is hard to find something to write about in any sort of compelling way. Nor do I have much interest in cataloging my daily life. I know from experience that my life is capable of producing, tops, a paragraph or two of mildly amusing reading every few weeks, which does not a blog make. Plus, I would like to try to lure some people into reading what I write, and writing about what I ate for lunch today will likely not do the trick. As for the two of you (you know who you are) who read this blog regularly, I hope you will not be disappointed by my change away from that format. And finally, after some thinking, I have figured out what these changes will be. The Millions will be about books. For a book lover without a whole lot of free time (not to mention money) it can be very hard to consistantly find new and interesting books. To do so, in my experience, requires reading dozens of book reviews weekly and trolling book stores looking for the new and interesting (or the old and interesting). The internet improves this process slightly, mainly by cutting out some of the time required, but it offers little help in locating a book that you might like to take a look at. I have yet to find anyone that has had much luck with Amazon’s recommendations. I recently realized, though, that I am singularly qualified to write a blog about books. I work in a great little book store and therefore, in pursuit of my paycheck, I see with my own eyes the hundreds of books that come out weekly and I read reviews in dozens of newspapers and magazines. Finally, I have always loved books and I have always loved telling people about books, and now I have myself a little blog that can serve both of these loves. I hope to update several times a week, if not daily, and hopefully this thing will be chock full of interesting books at all times. So there it is… it feels good to get started on this thing, and if anyone has any comments, questions or suggestions let me know. “Our mutual friend” is the greatest plot Dickens ever penned. I’ve read Martin Chuzzlewit twice and enjoyed it immensely both times – I can’t see why it’s apparently one of the leasdt popular novels. The plot is excellent, it’s both hilarious and moving at times, and has one of THE great Dickensian characters in Mr. Pecksniff. Our Mutual Friend and Bleak House are a tie in my mind. A Tale of Two Cities may not have been his best, but it was my gateway drug and still my favorite. And contains some of the most memorable lines of all time. While my gateway was Great Expectation, I have to put in a vote for Pickwick Papers as the funniest novel I have ever read. Also a Nick Nickleby fan. 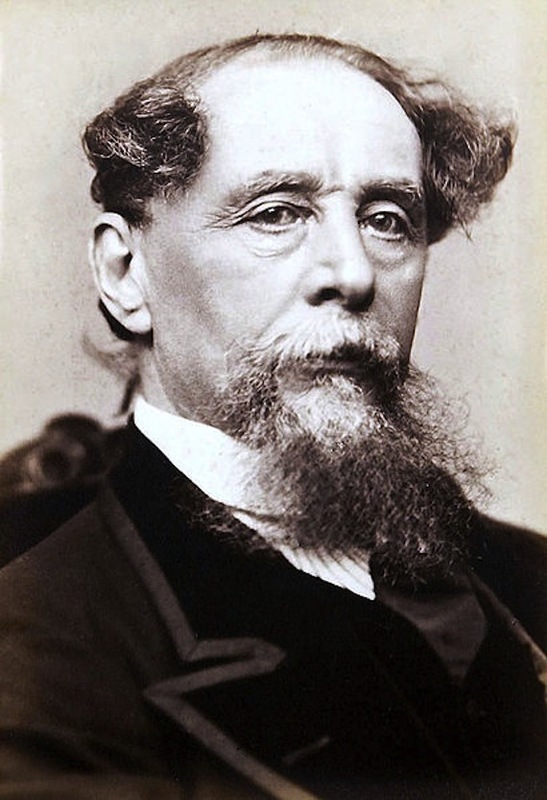 Dickens had so many novels and stories that captured your soul. Oliver Twist, showing the struggles of youth and the poor, but able to overcome. Great Expectations, dealing humanity a different fight, joy, and conflict every day, even if imagined as with Miss Haversham. Probably my favorite overall, The Christmas Carol, that shows anyone watching or reading it that we all have a responsibility to mankind and probably a debt to pay to society. My choice also for Dickens’ best is Bleak House. My great favorite, though, is Dombey and Son. Obviously the best character for a one-night stand is Estella from Great Expectations. None of them! Here’s why: his prostitute characters reflect his paternalistic attitude to women and you have to read between the lines of his letters about Urania Cottage to see glimpses of stories he could have told and didn’t. Whichever one I’m reading at the time! My introduction to him was my mother reading A Christmas Carol to me–I have lines by heart from that one. But I think my favorite is Pickwick Papers. I adore Sam Weller. Though unfinished (but very intriguing), I really loved The Mistery of Edwin Drood….and the variety of endings written by so many authors. A sign of Dickens’s genius and literary generosity, allowing writers to take advantage of such a valuable first half of the novel. “Our Mutual Friend was my Dickens gateway drug. The opening sequence plays like a Scorsese tracking shot on steroids.” Anyone looking for a reason to devalue the way the liberal arts are taught in this country need only brood over this ridiculous statement. The “Best Dickens Novel” is a difficult topic. The commenter whose list excludes “Our Mutual Friend” should read it immediately and then start over, because, if not the greatest expression of his art (I would nominate “Great Expectations” for that), it is his greatest novel. “Bleak House,” “Little Dorrit,” and “David Copperfield” are also up there. I have read, taught, and been inspired by every Dickens novel at multiple times in my life (including basing a mystery series on them), and each time I read them I gain new meaning and depth. Right now I’m basking in the glory of “The Mystery of Edwin Drood,” a book I didn’t read until I was in my thirties, and now it’s among my favorites. But read any of his books and your life will be enriched; you might save such challenges as “Barnaby Rudge” and “The Old Curiosity Shop” until later, but even they have rewards for the patient reader. i think it depends upon readers taste but i would rank BLEAK HOUSE…………. I haven’t read Dicken’s works but I am interested to observe his works for my minithesis. So, can you tell me what novels are have the sameness whether the themes or characters or anything. I really thank you if you can help me. As an introduction to Dickens, I have just completed Bleak House. Many an hour did I spend reading long excerpts to my fiancee. Even I’m not an expert, for me it’s Bleak House, it let me wanting more, I couldn’t put it down. I’m still looking for a book who can take its place but I found none. I live in Mexico and it’s complicated to find something from Dickens beside Oliver Twist, Great Expectations or Tale of two cities, so when I went to USA and found this I bought it immediately. It didn’t disappoint me, it’s really wonderful, it’s characters and plots make it so easy to read , it amaze me. Dickens is probably my favorite author and picking out the best is hard to do. The Pickwick Papers is very funny and has so many characters differing in age and station, that it boggles the mind to think it was written by an author in his early 20’s. Great Expectations is probably my favorite, and the surprise twist of Pip’s benefactor ( who will remain nameless here ) was what novels are all about. I never saw that surprise coming, but when it came, it didn’t come out of nowhere, and it all made perfect sense. The Mystery of Edwin Drood might have been my favorite if Dickens had lived to complete. I read it in denial, knowing it was going to end only half finished, and yet hoping against all hope to see the mystery revealed. Dickens greatly admired Wilkie Collins’ The Woman in White, and here he was about to outdo Collins, no mean achievement considering The Woman in White is one of the greatest mysteries every written. To me,David Copperfield is Dickens’ best & most ‘dickensian’ novel. I have read most of his novels but I first came to love Dickens while reading this veiled autobiography.If someone read Dickens with not a critical eye but a affectionate and understanding mind,David Copperfield will certainly be the best.The book certainly has flaws but it’s impossible not to love David,Agnes,Betsey Trotwood or Traddles(or,hate Murdstone siblings or Heep). The book is very long & has many subplots but is far more griping than many other lengthy novels.It is not much sentimental like earlier novels like Oliver Twist,Nicholas Nickleby or The Old Curiosity Shop.On the other hand, it is mostly free from later novels’ bitter sarcasm & melancholic tone. Certainly, David Copperfield has most perfect ‘Dickensian’ characteristics.The reader just needs to feel the pulses of the writer while reading. Great Expectations, but I’m working my way through all his work, so that may change. I have to have Dickins on my bedside table at all times. Bleak House is so wonderful to read and what full bodied characters Mr. Dickens presents in this story. Esther Summerson gives us a higher standard of what can be done with meager beginnings especially in present day society where no standard has become the status quo. After deciding to concentrate my reading on ‘Dickens Only’ for a couple of years, I read most of the novels (Martin Chuzzlewit, Edwin Drood, Our Mutual Friend, Barnaby Rudge still to go). I can’t name the best, only which I loved most. I found Hard Times and Bleak House the most difficult to love, but David Copperfield and Dombey and Son still fight it out in my mind for ‘most loved’. I do think ‘Dombey and Son is a very underrated book. (Such sneaking regard for the sheer joy of The Pickwick Papers)! Bleak House seems the most highly rated novel here, and I wouldn’t disagree: I think it has its faults – I’ve never found Lady Dedlock a particularly believable character – but it has moments of undeniable power and an overall feeling that this is Dickens at the very top of his game. I would like to put in a claim, though, for the somewhat overlooked early novels, if only for their sheer energy, exuberance and sense of fun. There are not many Victorian writers who have the power still to make us laugh and it’s an amazing achievement that Dickens’s humour seems as fresh today as it must have been to his first readers. Nickleby and Chuzzlewit are both highly entertaining books, once they get past their opening chapters, and I would also give mention to Barnaby Rudge. No-one seems to like it much but it’s a particular favourite of mine and contains, in John Willet the inn keeper, what is surely one of Dickens’s finest and truest characters. ‘Great Expectations’ is a highly original study of human nature in a way that the rest aren’t. It’s chilling in that pretty well everything Pip wants at his retributive worst seems somehow to come about. That’s serious stuff with worrying implications for us. At the other extreme I agree with Ken above about the sheer energy of the earlier novels. And ‘Pickwick Papers’ is a delight – Dickens at his most Fieldingesque. What a pity, though, that he never read Jane Austen. Bleak House, absolutely #1. I also have a personal affection for Pickwick Papers because I had the most fun reading it. I’ve only read A Tale of Two Cities, and it made me weep like a baby. I have not read them all, but clearly Bleak House is a great great novel and if the majority here think it the best, who am I to disagree? I am puzzled by the dismissal of Tale of Two Cities which, of all the ones I’ve read, seems to be the most concise and tightly put together. And I admit to have read it eight times since High School and never tire of it. No question; Dombey and Son is the most underrated, and I’ve read them all. My copy was picked up at a jumble sale. It’s a 1927 edition in poor condition that I had restored and rebound at great expense. You do these things, for things that are precious. I have read all Dicken’s novels . Funniest , The Pickwick Papers . The most complex and inteĺlectually rewarding , Bleak House . The best written , life affirming and my personal favourite , Great Expectations . That’s all I’ve read so far but In my humble (ever so humble I am, Mr Copperfield) opinion Dombey is the tops. Incredible imagery and impact and desperately sad. They’re all utterly brilliant though and I can’t wait to read all his works. I’ve read Dickens for 50 years. My tastes and appreciation changes over the years. My personal favourite is Hard Times. Followed closely by Bleak House. My definite least favourite is Great Expectations. It was a trial to get through in high school and I gave up on it when I pickd it up a few years later. No holiday gift guide is complete without an overpriced candle. This one smells like winter, myrrh, and quiet concentration.